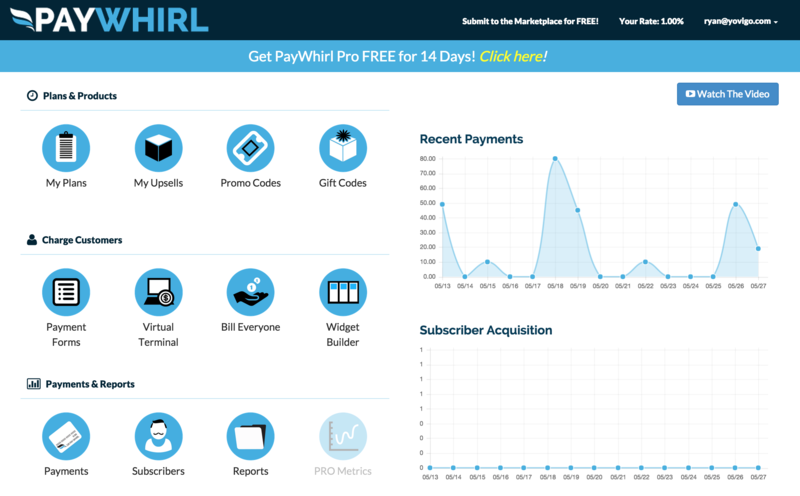 After you have completed the basic registration page YOU WILL RECEIVE TWO EMAILS (1 PayWhirl & 1 Stripe) with instructions to complete your setup for each system. NOTE: You will need to connect a bank account with Stripe to transfer funds out of your Stripe account. 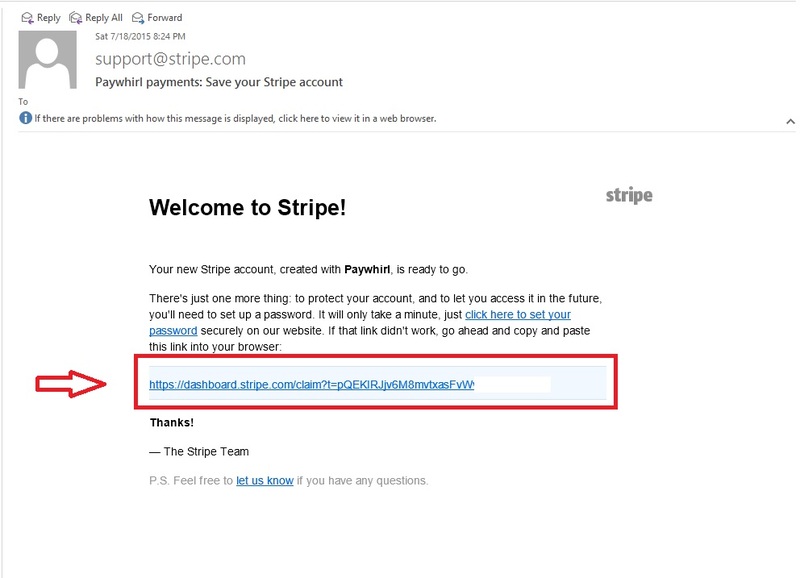 Click the link in your Stripe activation email to finish setting up a Stripe account. NOTE: If the email you register with is already associated with a Stripe account a you'll be presented with a page where you can connect your existing Stripe account by logging in. 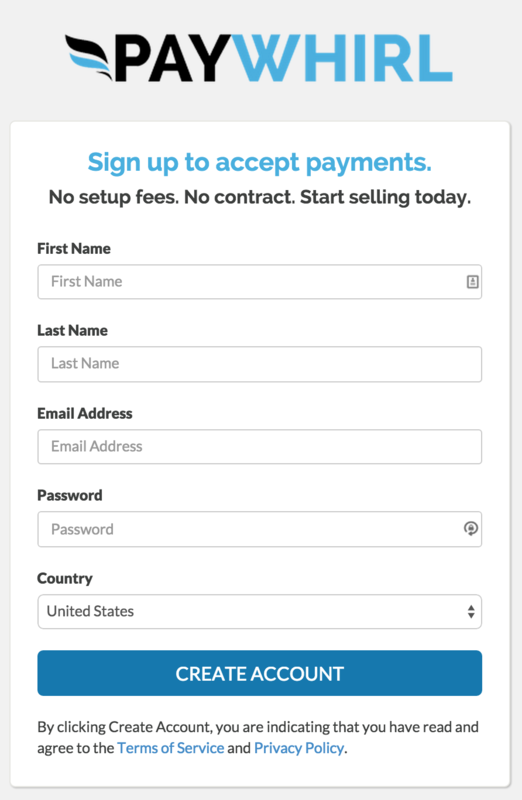 Embed a Payment Widget or Payment Form on your website. Payment forms display a single plan and payment widgets typically display more than one plan (although you can have a widget with just one plan as well).